Many automakers are pursuing the growing entry-level luxury segment. 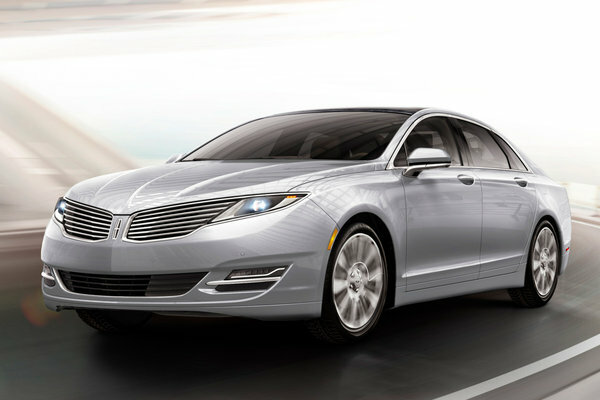 Just as Toyota offers the Camry as the more upscale Lexus ES, Ford offers a Lincoln variant of the Fusion sedan. The MKZ offers clean exterior styling with modern lighting, a highly styled interior with standard power leather seats, and upscale interior trim appointments. Like its sibling, the MKZ offers a number of powertrains including a 240-bhp four cylinder, a 300-bhp V6 and a four-cylinder gas/electric hybrid. All-wheel-drive models are available for extra traction in inclimate weather. The MKZ has a number of unique features that stand apart from the Fusion and most other vehicles. The first is a full-length glass roof that can be opened for fresh air. The second is a push button transmission.